What do you expect from the band with name taken from song title from BRUJERIA and coming from Japan? Yeah, brutal and raw! 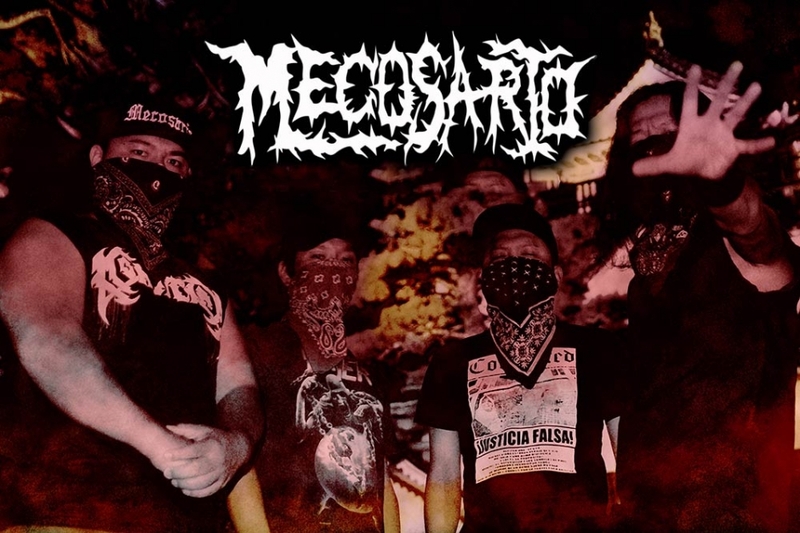 Guys from MECOSARIO know how to sharp the machete! Masked and heavily inspired by mexican grind legends! Evil grind live show at Obscene Extreme Asia 2015!!! June 24,2012. Tonoko has left the band. July 7th, 2012. Aiko has joined to MECOSARIO. March 2nd, 2013 Aiko has left the band. December 2013, Toyo and Natsu left the band. January 2014, support guitar player Kiyotaka joined the band. June 2014, Kiyotaka joined the band to permanent member.